Share the post "Rutgers is a Partner in New Center Designed to Amplify Societal Impact of Research"
Rutgers University is a foundational partner in a multi-institutional center called the Advancing Research and its Impact on Society Center, or ARIS, made possible by a five-year $5.2 million National Science Foundation grant. Housed at the University of Missouri, the ARIS Center will focus on four main initiatives, which include building capacity, advancing scholarship, growing partnerships and providing resources to scientists and others to advance the practice of translating scientific research to the public through educational outreach and community engagement. 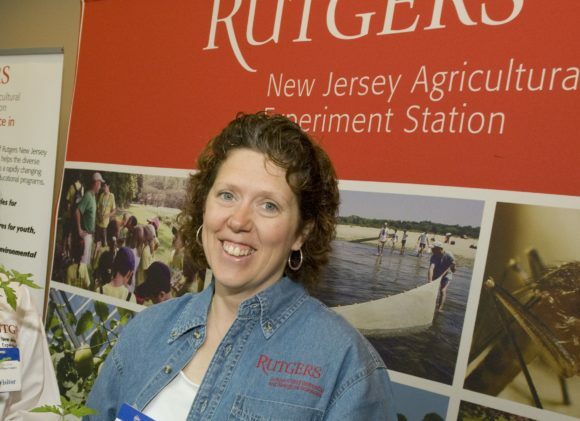 Janice McDonnell, science agent in the 4-H Department of Youth Development at Rutgers and co-principal investigator of the NSF grant, will be “conducting training across the country helping scientists and engineers expand their impacts on society through this unique U.S. center.” She will bring her work in science communication and 25 years of experience working with STEM researchers at Rutgers and other universities around the country on developing and executing the center’s “Broader Impacts” work as part of their NSF funded research. More broadly, McDonnell connects K-12 educators and informal educators with scientists and engineers to translate and share their research. 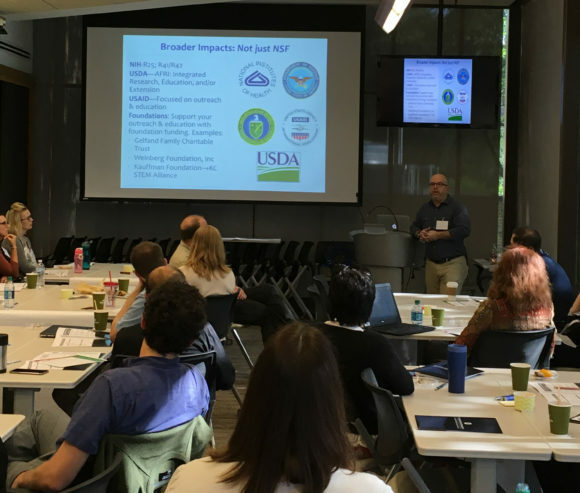 McDonnell and Jory Weintraub, Duke University ARIS partner (pictured) were recently invited to The Ohio State University to train 35 early career scientists and engineers on effective ‘Broader Impact’ projects. Among the other ARIS Center institutional partners are Brown University, Duke University, Iowa State University, Madison Area Technical College, Michigan State University, Northeastern University, Northwestern University, Oregon State University and University of Wisconsin-Madison. In addition to working with scientists to demonstrate the impact of their research in their communities and society, ARIS Center will emphasize support for serving traditionally underserved populations while providing inclusive public engagement to ensure a diverse science workforce. The center’s board of advisors includes members from the American Association for the Advancement of Science, the Association of American Universities, California State University-Monterey Bay, the Center for the Advancement of Informal Science Education, the Council on Undergraduate Research, the Kavli Foundation, NASA, Northern Illinois University, the Rathenau Institute in the Netherlands, Spelman College, the U.S. Chamber of Commerce, Western Washington University and York University in Canada, among others.